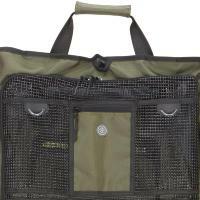 Wychwood Wader Bag, a new, innovative solution for storing and transporting chest waders or wet clothing. 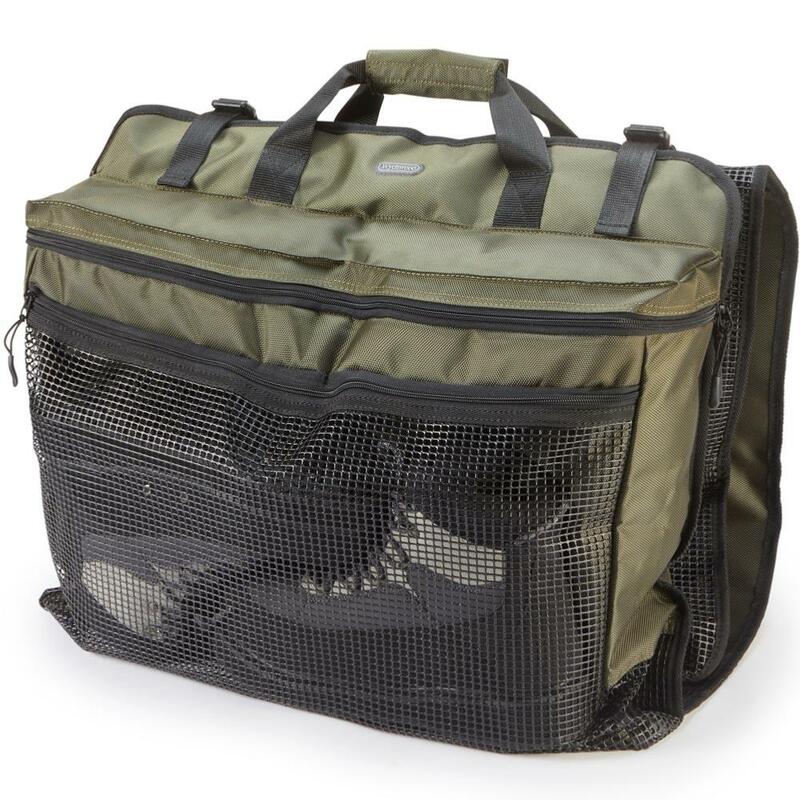 Wychwood Wader Bag allows for easy transportation through the unique, registered folding design. 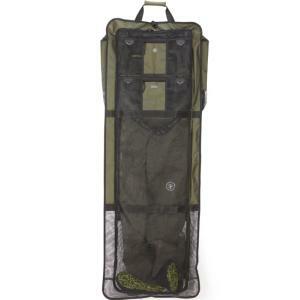 The correct storage and drying processes are also easily achieved with waders hung from clips and allowed to breathe through the unique Drop N Dry System. 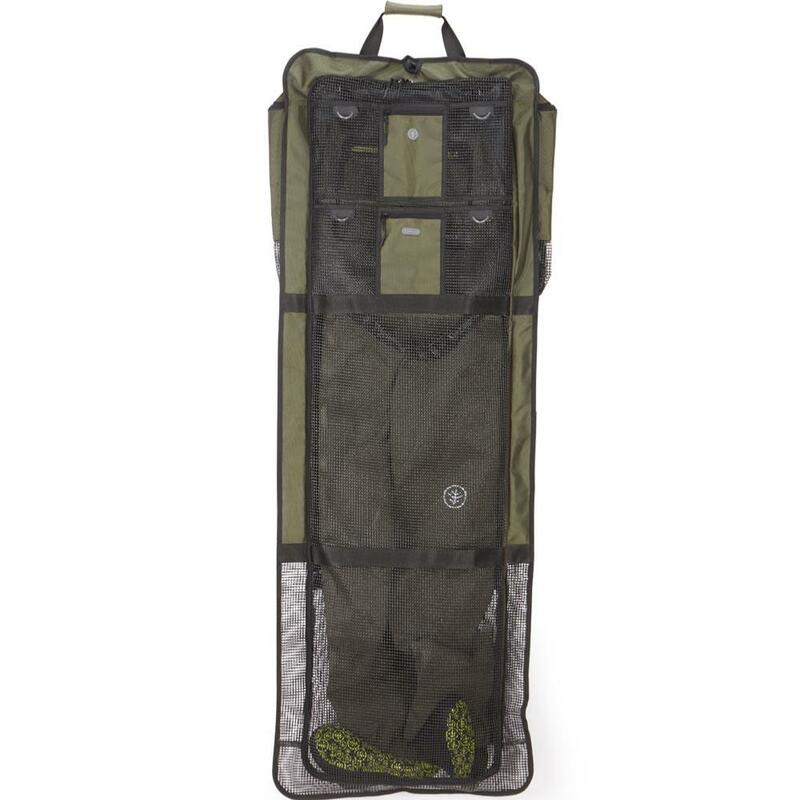 Simply hang the Wader Bag up to dry using the cordura hangers or handle to dry out your waders naturally, limiting mould growth, bad odours and preventing damage. 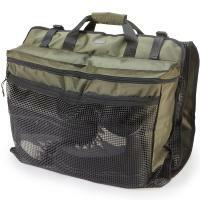 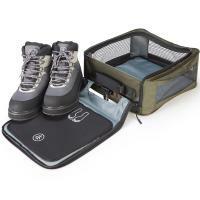 The Wader Bag also features a Neoprene mat, allowing you stand on its surface so that you can get changed on the bank. Just the job. if you are spending hundreds of pounds on waders the bag is the best way to look after them , good price and quality.